Download this cooking game and we can show you how to bake beautiful rainbow unicorn cakes step by step. There are total 10 kinds of cakes, everyone is so beautiful and lovely, you are free to choose anyone of them to bake. Let’s go travel with foodie to exploring world yummy foods! Such as Japanese cherry blossom jelly, American hot dogs, Mexican taco, Italian pizza, and my favorite food Chinese sweet dumplings! Let’s have a crazy movie night party and make tons of yummy foods! Birthday Cake Design Party - Bake, Decorate & Eat! We can bake and design the coolest birthday cakes at this party! Such as mirror cake, unicorn birthday cake, rainbow shortcake and the hottest strawberry watermelon cake! Breakfast, lunch, dinner, and snack time are all perfect times to drink a smoothie! These cool, yummy treats are full of fresh fruits that give them tasty flavors and make them healthy to eat. Snap a selfie and play chef. Choose from hundreds of flavors of ice cream, syrups and sodas to make the ultimate sweet drink. Mix up some for your best friends and family. 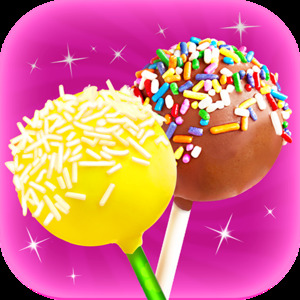 Make your very own tasty candy apple in this exciting cooking game. Become the beautiful princess Snow White and use her skills in the kitchen to create sweet foods. If you cook just right, your food will help save the day! It’s pizza time! The smell of hot, fresh pizza makes everyone’s tummy rumble in hunger. Here we go. Run your own pizza shop & be the best bakery chef, and everyone is excited to try your inventions. With Cake Maker, you can run your own virtual bakery and create any kind of cake you can dream of! Bake tasty, sweet treats from scratch, starting with the best ingredients and ending with an amazing cream topping you decorate yourself. Is there a more perfect street food than the hot dog? Become the ultimate hot dog chef! Jump on your hot dog truck & business will bump! A carnival fair is a perfect place to experience yummy foods. Experience the Fun of the Fair with Fair Food Maker! Welcome to the Rainbow Cake Bakery Shop! Here we can make various rainbow desserts together! Such as rainbow donuts, rainbow cupcake, and my favorite rainbow shortcake! Have you heard the gossip? Everyone is talking about the Popsicle Pool Party – the hottest party of the summer! And now you and all of your friends are invited to come to this party and have fun together! Last week we received an invitation from the Magic Candy Land! The manager of the Magic Candy Land invited us to have a crazy candy factory one-day-tour!